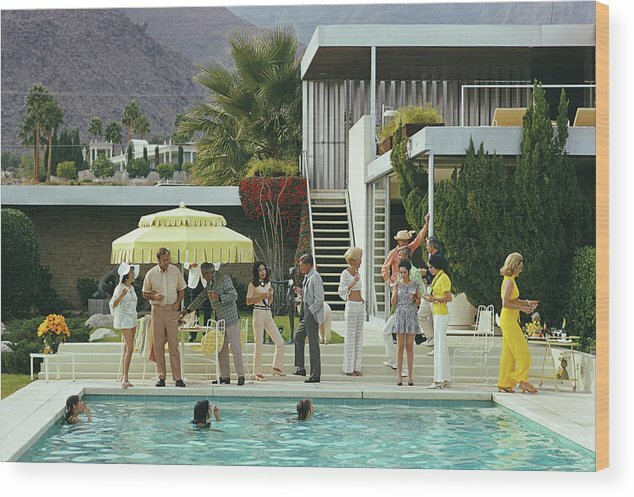 Poolside Party by Slim Aarons - 12.000" x 8.125"
Poolside Party wood print by Slim Aarons. Bring your artwork to life with the texture and added depth of a wood print. Your image gets printed directly onto a sheet of 3/4" thick maple wood. There are D-clips on the back of the print for mounting it to your wall using mounting hooks and nails (included). 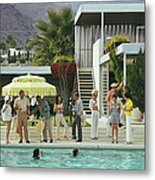 Guests by the pool at Nelda Linsk's desert house in Palm Springs, California, January 1970. The house was designed by Richard Neutra for Edgar J. Kaufmann. At far left is Lita Baron. Helen Dzo Dzo is at centre, right in a white crochet outfit. Nelda Linsk is in yellow at far right. 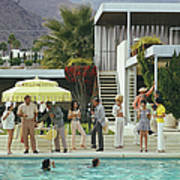 (Photo by Slim Aarons/Hulton Archive/Getty Images)Helen Dzo DzoImage provided by Getty Images.